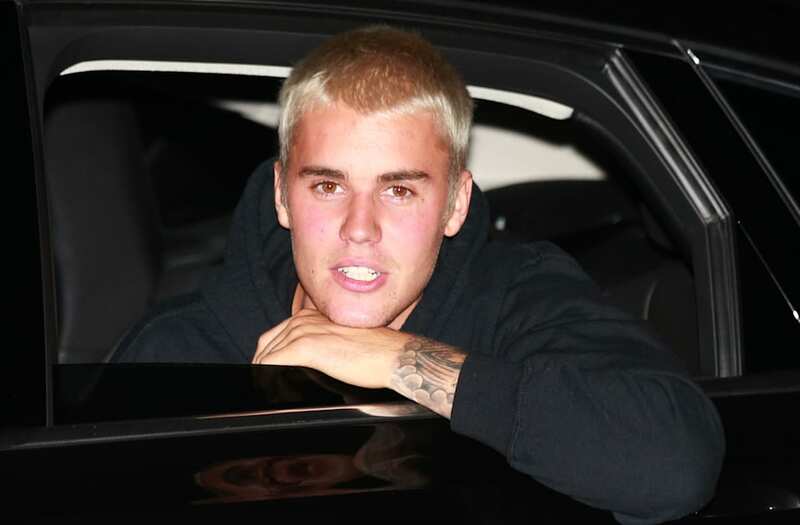 Justin Bieber struck a pedestrian in Beverly Hills after leaving The City Church service in Beverly Hills, California, on Wednesday night, ET can confirm. A spokesperson for the Beverly Hills Police Department tells ET that the 23-year-old pop star remained on the scene and was fully cooperative with law enforcement. At 9:24 p.m., police were notified that a 57-year-old male was on the ground complaining of injuries to his leg after a traffic collision. "He was transported with non-life threatening injuries," the spokesperson noted. Meanwhile, eyewitnesses at the church tell ET that paramedics were called to tend to the injured man, who is reportedly a photographer. The vehicle involved is said to have been swarmed by paparazzi following the accident. The incident was caught on tape, and Bieber, who can be seen behind the wheel, was driving slowly when he struck the man. The "Sorry" singer subsequently got out of the vehicle, and spoke with the man as he was laying on the ground. Several people who appeared to be nearby at the time of the event took to Instagram and Twitter to share photos of the scene, which was demarcated with police tape. Footage from the incident also shows that Kourtney Kardashian was at the scene, after having attended The City Church service. The Beverly Hills Police Department further tells ET that the accident occurred at the intersection of Hamilton Drive and Wilshire Boulevard at the Saban Theater, where The City Church was holding their service on Wednesday. "The driver of the vehicle stayed and spoke to the officers and they conducted the investigation," the BHPD watch commander said immediately following the collision. "The driver has since left." The incident occurred just days after Bieber announced that he was cancelling the remainder of his Purpose world tour "due to unforeseen circumstances." Soon after the news broke on Monday, many news outlets reported that Bieber's motivation for cancelling his concerts came from his newfound calling to rededicate himself to religion. Bieber has been a longtime member of The City Church and is a close friend of Pastor Carl Lentz. He even joined Lentz at a massive church event in Australia earlier this year. However, the singer has staunchly denied rumors that his faith played a role in his decision to cancel the tour. A source told ET that Bieber was "exhausted" after his long tour, which resulted in him calling off the remainder of his tour. "This is a guy who has had 150 shows on this tour, on six continents, over the last year and half, and he's tired," the source said. "He needed a break and as much as he didn't want to disappoint his fans, the best decision for him was to cancel the remaining tour dates." A second source also told ET that Bieber very much had Believers in mind when making the decision. "He doesn't want to let his fans down," the source noted. "They have always had his back."